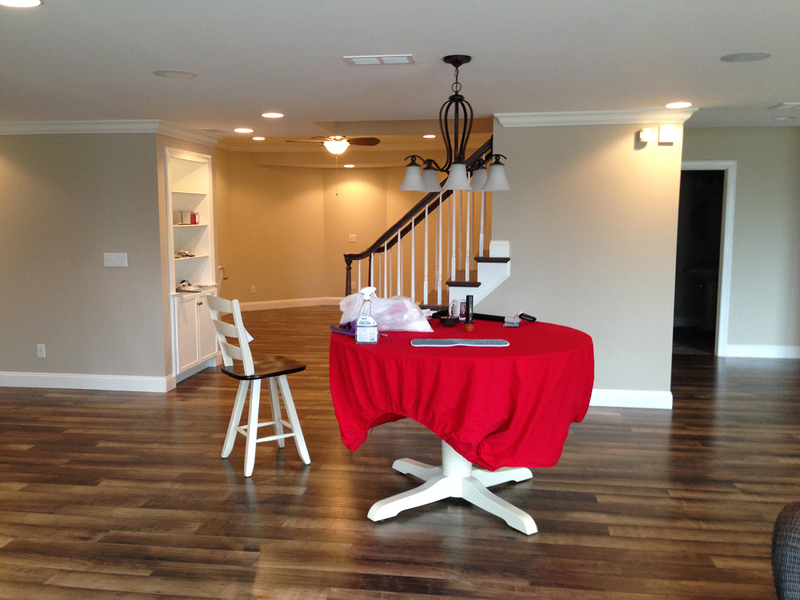 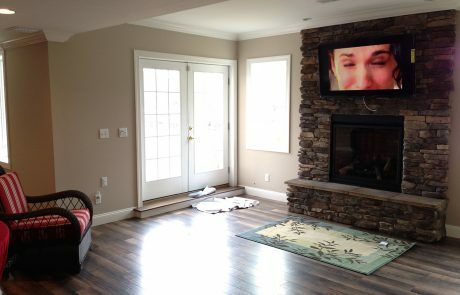 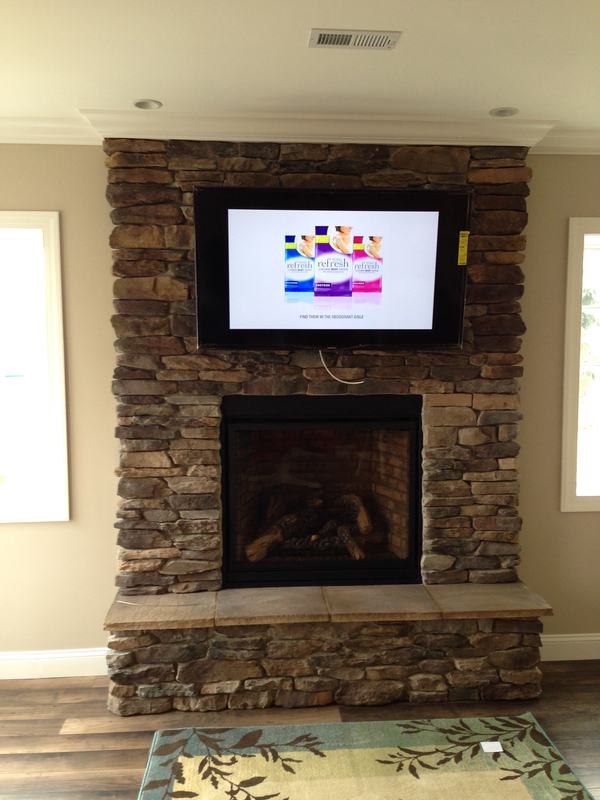 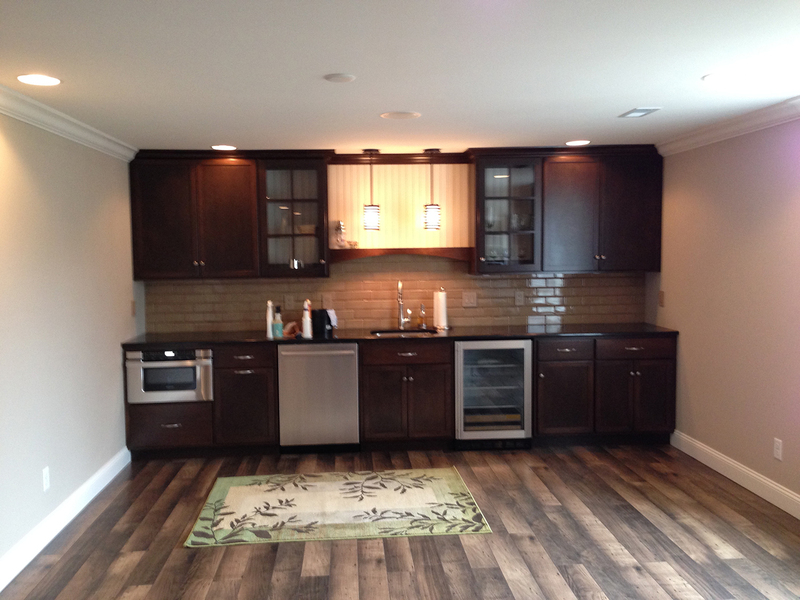 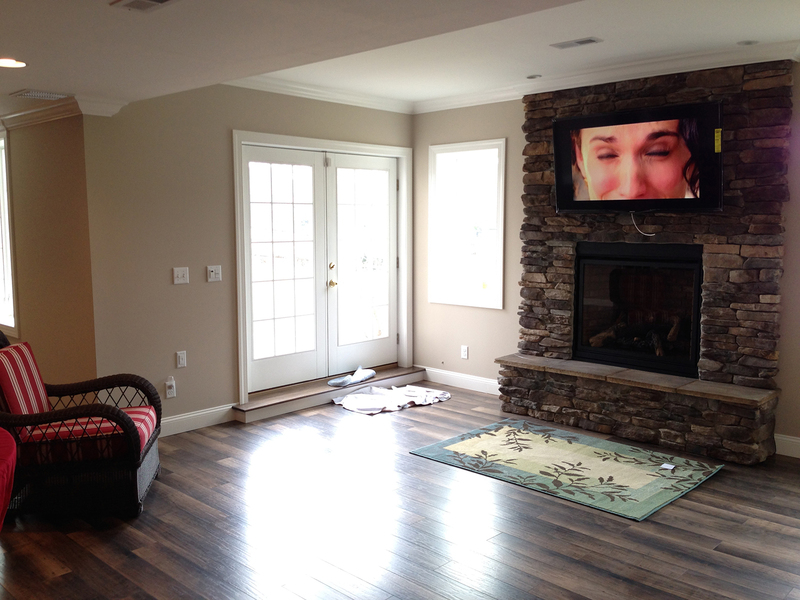 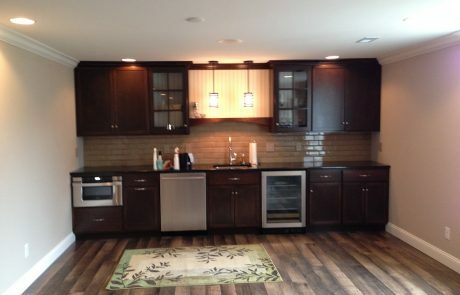 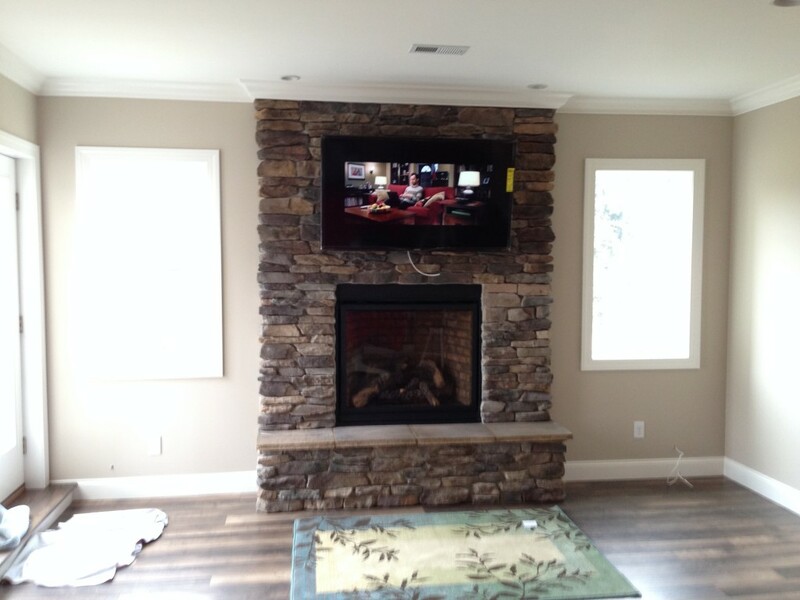 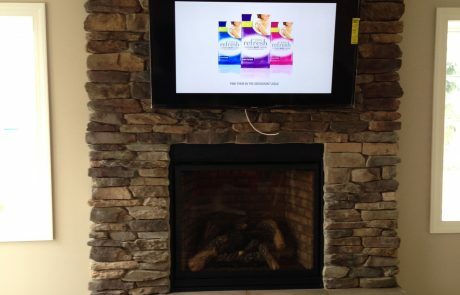 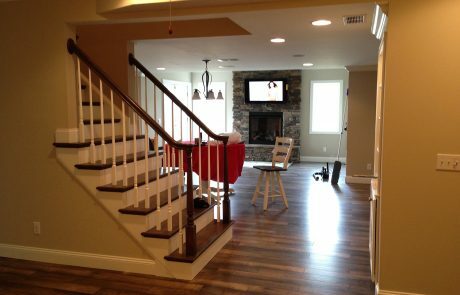 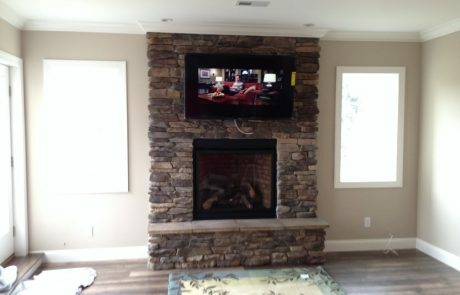 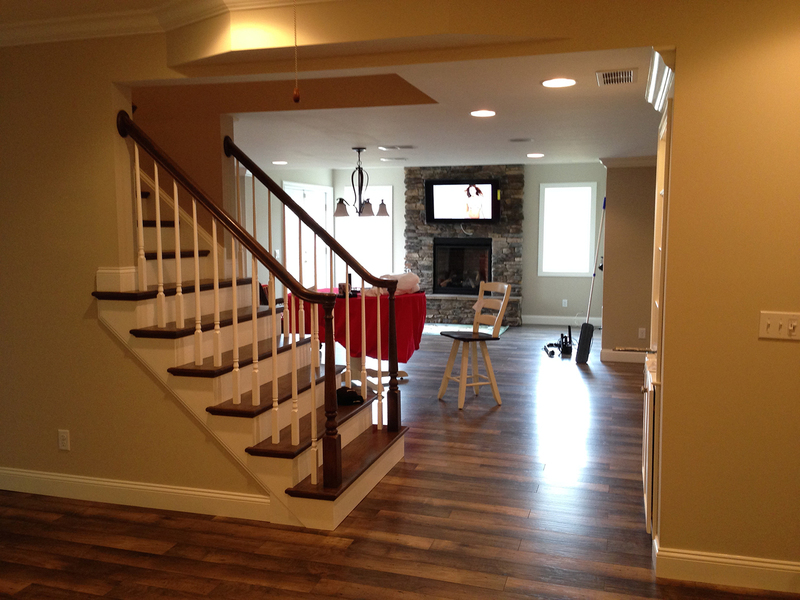 Jerry and Mark were busy on this 2,000 square foot basement remodel. 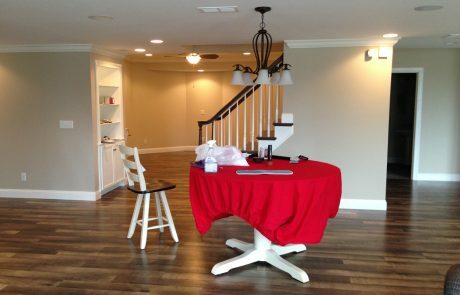 Compete with exercise room, wet bar, fireplace, oak staircase, custom built-ins and French doors outside. 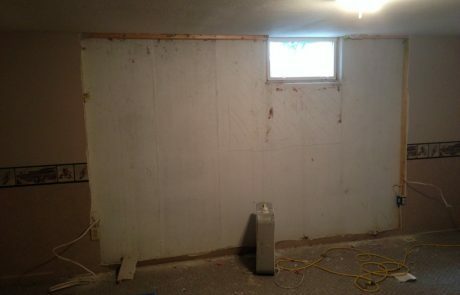 We cut a hole in the foundation to create a fire escape out of the basement. 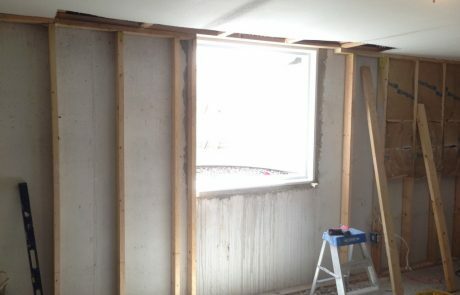 It also floods the room with light, making it feel less like a basement. 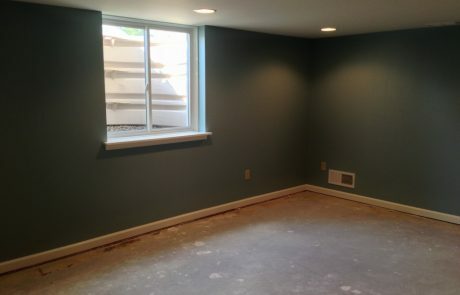 If you have a damp, dark basement, you cannot put up drywall and lay carpet without finding the source of the moisture because those items won’t last. 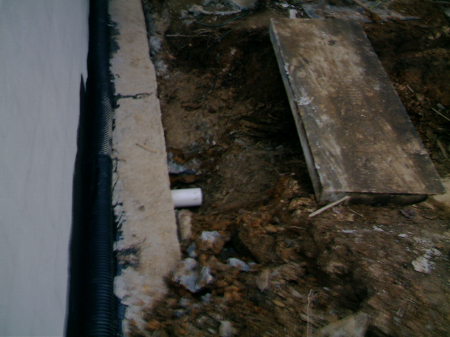 Waterproofing doesn’t work. 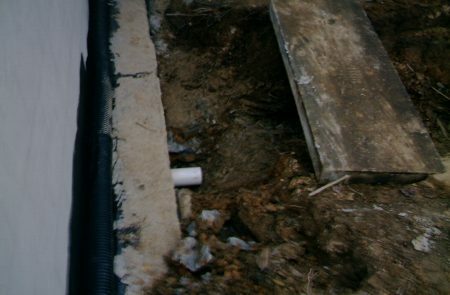 The first step is to check roofs, gutters, and downspouts to see where the water goes. 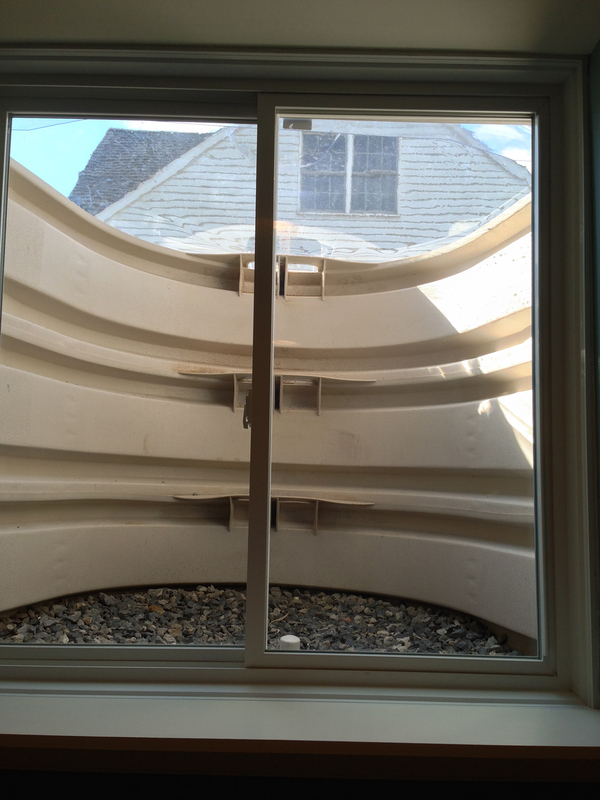 The next step is to look at your backyard to see if you have water flowing towards your house. 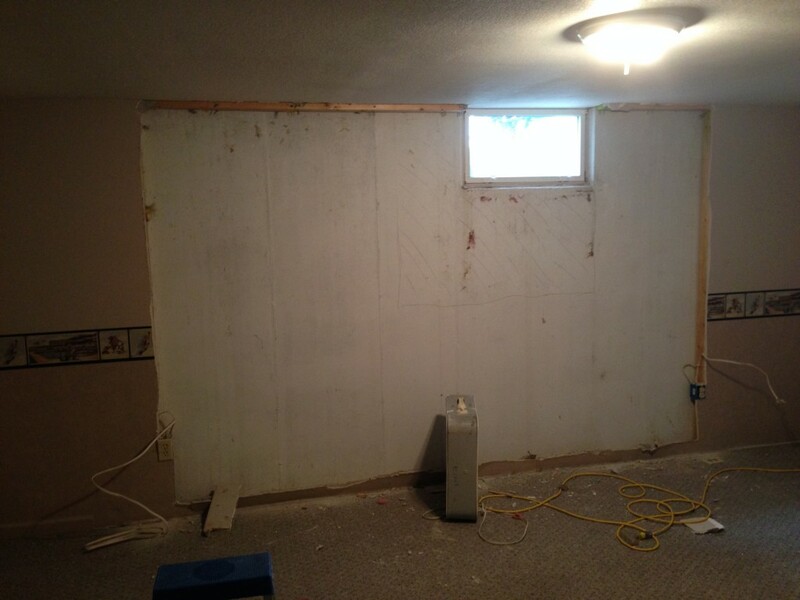 We stop the water before it comes into your new room. 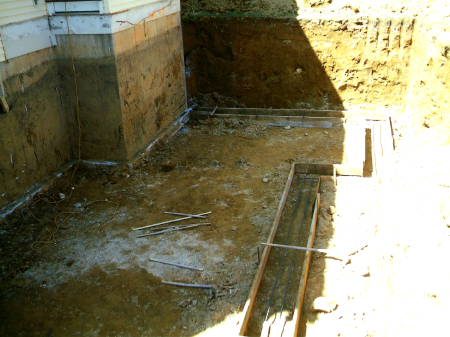 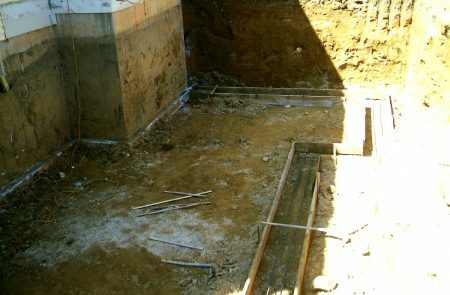 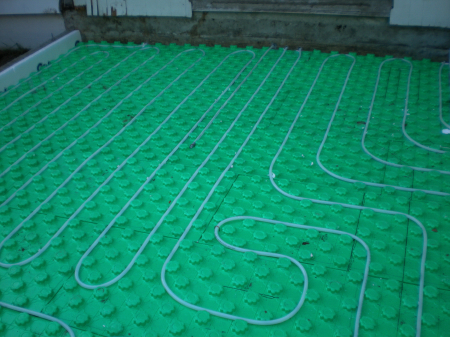 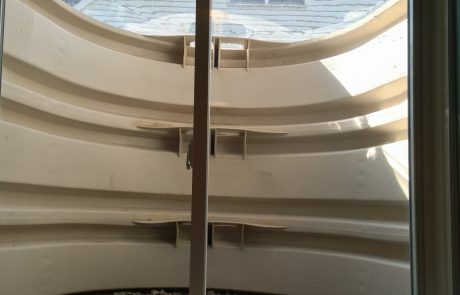 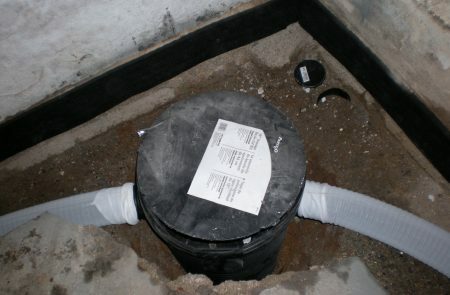 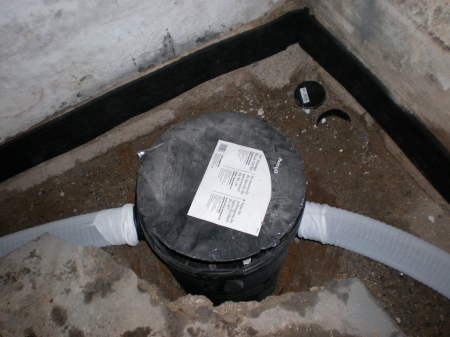 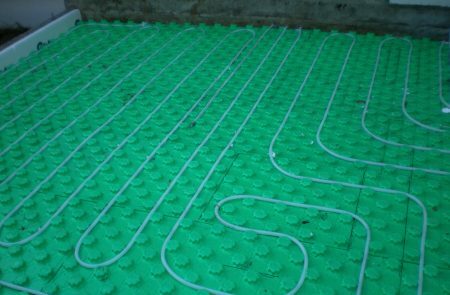 We also install radiant heat to keep the floor warm and underground drainage to keep it dry. 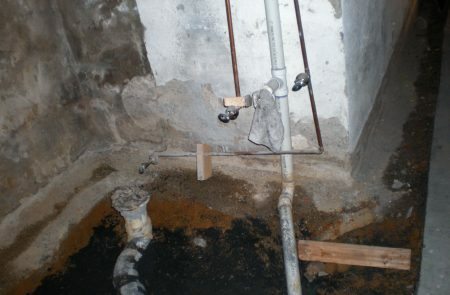 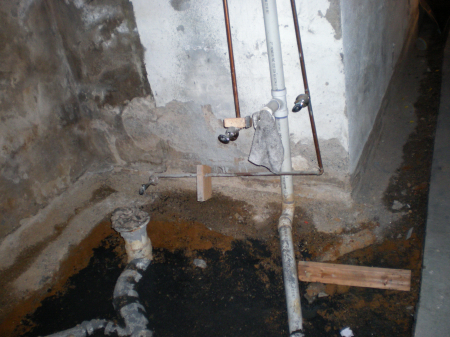 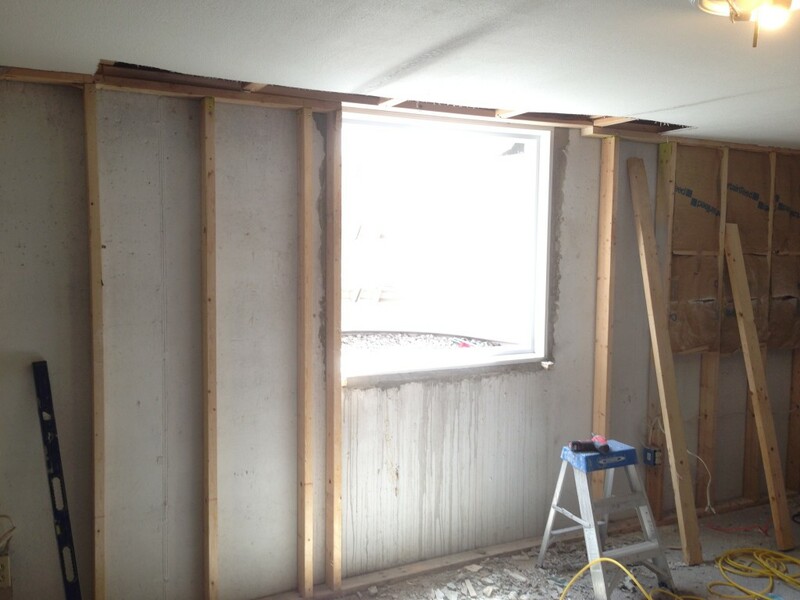 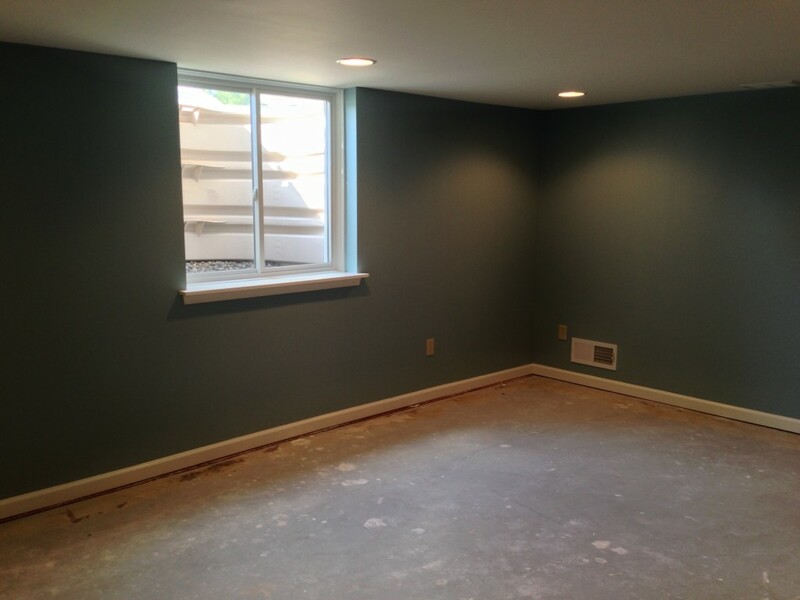 Take a look at some of the before pictures to see some of the work that goes into a basement that no one sees.